Ahhh, nutrition. The field of knowledge that practically everyone feels they’re an expert in, simply because they eat and occasionally read stuff about it on the internet. As a result, there are a lot of nutrition myths out there, many of which just won’t die. Even fairly well-informed people have been known to stumble a bit on one or two of these. In fact, had you asked me the truth about a couple of these myths a decade ago (and some even 5 years ago! ), I might have given you a different answer. After all, more research comes in and we find out more about how the human body works. Theories are tested and either confirmed or refuted. It’s tough for the average person to keep up with the current body of knowledge, and the media often misleads us by misinterpreting research to create sensationalist headlines. Even people who are fairly well-informed about nutrition still get a bit panicky about CARBS. And carbs in the evening? A lot of people get really nervous about that. The reality is that carb timing can be important when it comes to post-workout recovery for athletes and bodybuilders, but for the average person it’s not that relevant. And carbs at night causing added fat storage? There’s no reason to believe that they do that. I generally recommend that clients keep their carbs in check in the morning, unless it’s in the pre- or post-workout period, and have more carbs later on. This means that your carb cravings stay under control throughout the day and then you get to enjoy some of those lovely potatoes, sweet potatoes, quinoa, oatmeal, rice, etc. when most people really want them. So how did carbs get such a bad rap? Maybe it was the “carb” cravings for entire bags of Doritos or an entire tub of ice cream. Those treat foods have large amounts of calories, carbs, and fat…so cutting them out at night (or whenever you’re eating them!) will certainly help you get leaner. Eating the right amount of carbs for your genetics, current leanness, and activity level, at night? Personally, I love having my carbs with my evening meal. They give me something to look forward to, and they help me feel relaxed in the evening. 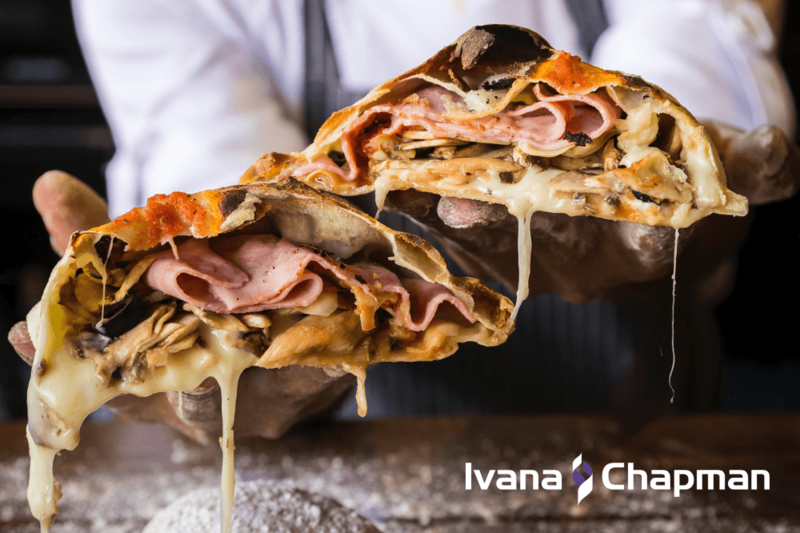 Carbs promote the release of serotonin, a neurotransmitter that induces a feeling of calm, and can help you sleep better. So you don’t have to avoid carbs at night. Just make sure you’re getting the right amount of carbs for your needs and it won’t matter that you’re enjoying them when you’re chillin’ in the evening. The many meals a day protocol has been around for so long that people are hesitant to let it go. Bodybuilders have led the way, and the physique community continues to cry out about eating many times a day, but keep in mind that these people (especially the Pro guys) have enormous calorie and protein needs. They may be taking in 5000-6000 calories a day (Phil Heath, the current Mr Olympia, is said to eat over 9000 calories a day!) and that’s not easy to squeeze into two or even three meals. The current scientific evidence, as described in the position statement of the International Society of Sports Nutrition, says that “increased meal frequency does not appear to significantly enhance diet induced thermogenesis (fat burning), total energy expenditure or resting metabolic rate.” So eating frequently doesn’t do anything for your metabolism, as people often argue. That’s not to say that you shouldn’t eat many meals a day, if it suits you. There are other potential benefits, like an improvement in LDL cholesterol, total cholesterol, and insulin levels. Frequent meals may also help to decrease hunger and improve appetite control, which may help you reduce your overall calorie intake (and get leaner as a result). Although some people do well on it, I’m still not a fan of eating only one or two meals a day, a la intermittent fasting, because it makes it hard to get in a wide variety of foods (and the accompanying micronutrients). It also makes it challenging to get the right amount of protein for muscle repair and growth. 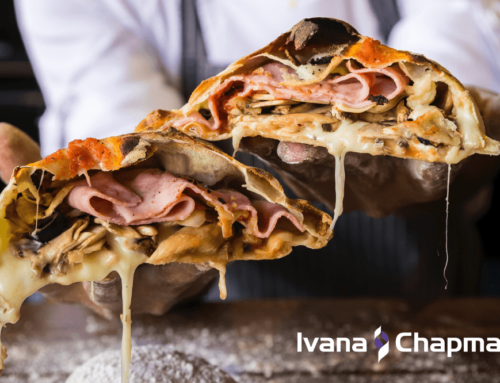 Unless you have an iron-clad stomach that allows you to take in enormous amounts of calories at one time, or you really feel better and are getting leaner with one or two meals, I recommend trying more frequent meals…even if it’s only the traditional three. I normally have only 3 meals a day, with a whey protein isolate shake after my workouts. In some research, anything over 70 calories is considered a meal, so that Starbucks concoction you have would also contribute a meal. With years of experimentation, I’ve discovered that eating less frequently means I end up eating fewer calories overall, because those 5 or 6 meals ended up being a bit bigger than they should have been. I also felt that I was always thinking about my next meal and it didn’t give my stomach a chance to recover fully in between these “feedings”. I could barely squeeze in a workout! The message here is: do what works best for you and your lifestyle. Just make sure that the basics of your nutrition plan are in place (Read about those in #8). This one just won’t go away, despite over a decade of evidence to the contrary. The kidneys are the important organs that is responsible for filtering unsavoury substances out of the blood and turning them into urine. The original concern came from research that indicated that people with active kidney disease could damage their kidneys with higher intakes of protein. There isn’t, however, evidence that healthy kidneys would be harmed by protein or would have any issues filtering it. There’s no reason for everyone to avoid nuts or strawberries or eggs just because some allergic people are harmed by them. The same reasoning applies to protein and the people with healthy kidneys. This belief comes from the idea that protein increases the acid load of your body, which then causes the body to take calcium out of the bones to neutralize that acid. 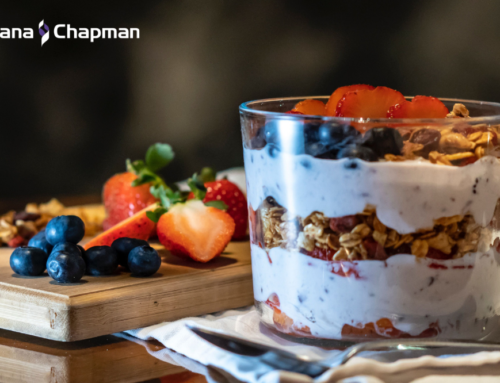 In fact, a research review determined that protein intake in the diet works with calcium to improve calcium retention and improve bone metabolism. So adequate protein levels actually lead to stronger bones. The protein recommendations given by most governments are designed to prevent a protein deficiency, not to optimize your health. Physically-active people would need more than government guidelines, either way, but even people who aren’t that active would benefit from a higher protein intake. Since less active people need fewer carbs (and calories), a greater percentage of their nutrition intake should come from protein. According to this Carbohydrate–Insulin Model, too many carbs in the diet results in elevated insulin levels that direct the body to store fat. So reducing carbs in your diet (without altering protein or calories) would decrease insulin secretion, and therefore increase fat mobilization from fat tissue (burn more fat). At the moment though, the scientific research doesn’t seem to support this idea. The ketogenic and low-carb crowd love to tell you that if you can keep your blood sugar (maintain insulin levels) regulated, you’ll never have any weight issues. 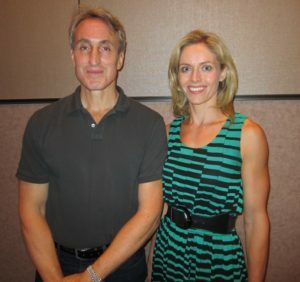 In fact, Gary Taubes (the journalist who popularized the idea of the Carbohydrate-Insulin Hypothesis with his book “Why We Get Fat”) founded the NuSI organization, which conducted a small research study that seems to refute his hypothesis. I’m a practical person and, for me, it doesn’t really matter that much why reducing carbs helps you lose fat. It’s more important that it does. I entered the low-carb world around 2012 and it’s still the method I credit for finally getting me off the yo-yo dieting of my 20s and early 30s. I still recommend that my Online Coaching clients to eat protein with every meal. Because it’s hard to get enough protein into your nutrition plan otherwise. 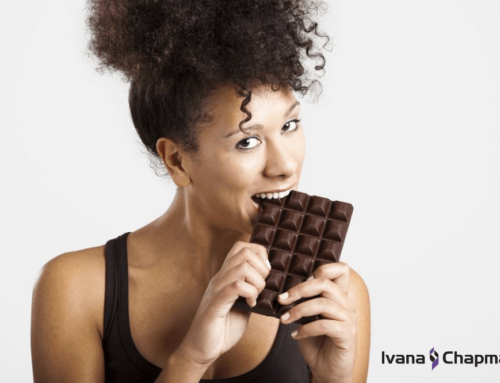 Less insulin response also means that your blood sugar doesn’t drop down drastically later on and cause you to experience cravings, particularly for foods of the sweet or starchy variety. 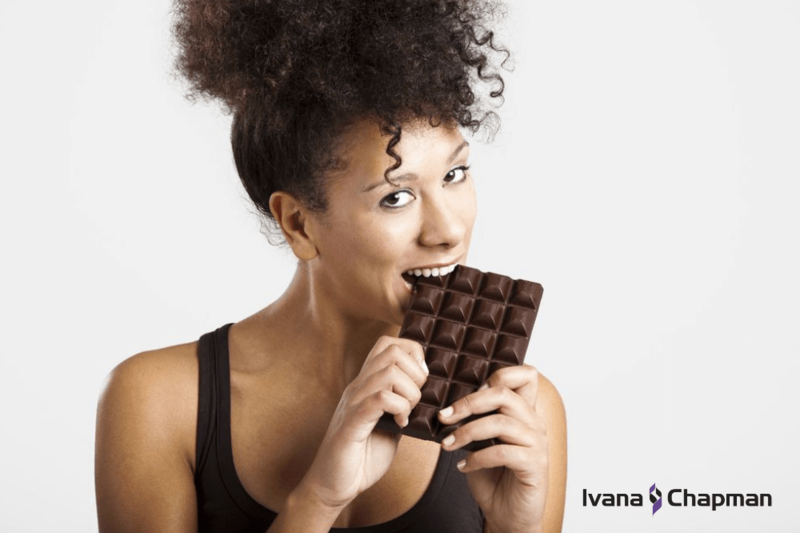 If you don’t experience physical cravings, you’re less likely to dig into that bag of chips or tub of ice cream and make a more sensible choice. Drop the chips and ice cream (or even just lower your total intake of them) and you’re reducing your calorie and carb intake. And voila! 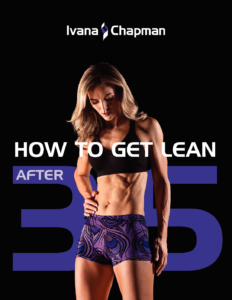 You’ll start to lose weight and get lean. Whatever the reason, you’ll probably lose fat more easily by eating protein regularly to preserve and build muscle, and keeping carbs in line with your physical activity level and individual carb tolerance. You don’t have to buy Gary Taubes explanation, which is NOT currently supported by science. I get my back up whenever someone says they are, or are becoming, a vegetarian “because it’s healthier”. While it’s certainly possible to be a healthy vegetarian, it’s also possible to be a very unhealthy one. French fries, potato chips, donuts and bread are vegetarian. And let’s not forget the highly-processed fake meats and assorted cookies, biscuits, soy-based margarines, and granola bars designed to specifically for the vegan and/or vegetarian consumer. 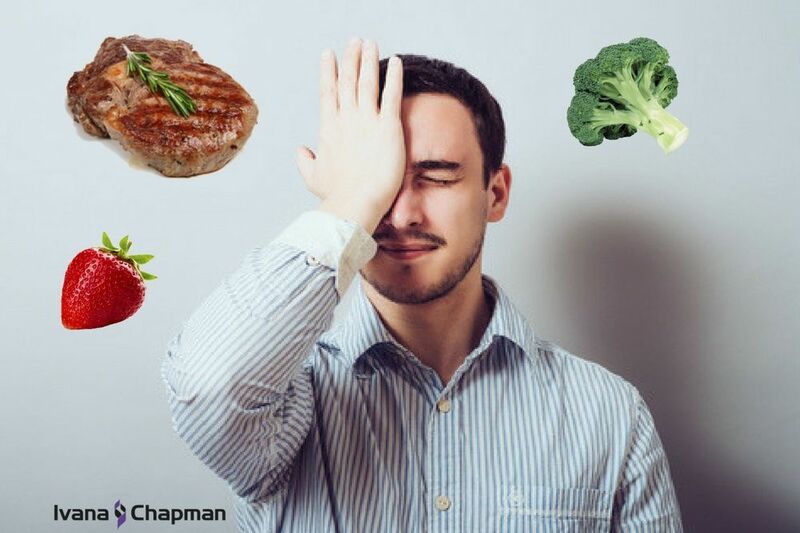 Definitely not good choices, and many vegetarians rely heavily on them, as well as a lot of processed soy. I’m not going to address the environmental considerations of vegetarianism because I’m not well informed about it and it’s not related to whether being vegetarian is healthy. I admire anyone who follows a diet specifically for ethical reasons, even if it may be to the detriment of their own health. I have a few fitness colleagues who are indeed following a very healthy and high-protein vegetarian or vegan diet. They are amazing and I applaud their efforts to build and maintain their muscle with only plant-based foods. A meticulously-planned vegetarian or vegan diet is certainly better than the Standard American Diet (SAD). Keep in mind, though, that the SAD includes all sorts of processed meats, like hot dogs/sausages/salami, a lot of refined carbs like bagels/donuts/cereal, and sugar-filled drinks like Coke and Sprite. No one’s arguing that those are good choices! Still, a well-planned omnivorous diet that includes plenty of vegetables, seeds, nuts, berries, fish, high-quality meats like chicken, turkey, lean grass fed beef, and perhaps some dairy in the form of cultured products like yogurt and kefir (and the occasional Ben & Jerry’s!) is going to be better for you than a vegetarian or vegan diet. Creatine, B12, Carnosine, vitamin D3 (the less absorbable form of the vitamin, D2, is found in plants), DHA, heme-iron, and taurine are all important nutrients that are only found in animal foods. Sure, you could take supplements to add these to your diet, but is the healthy option really avoiding all animal products and then popping handfuls of pills with each meal? There are plenty of Paleo peeps who claim that if you just eat real whole food then all your weight problems will be solved. Not really. There are a lot of great concepts within Paleo, and I definitely think the diet is a step in the right direction compared to what most people are eating these days, but it doesn’t solve all the issues. “Just eat whole foods!”, is the rallying cry for both primal and vegetarian styles of eating, as well as the Clean Eating movement. I’ll probably offend them all by saying that’s not the only solution…and can actually make things worse for obsessive personality types. 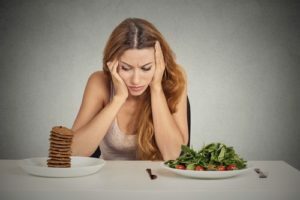 The concept can even lead to the an eating disorder called Orthorexia Nervosa, which means a fixation on righteous eating. People suffering from this disorder become unnaturally concerned with additives in food and are always worried that they’re damaged their health with even small quantities of foods considered “unhealthy”. Although I never went that far down the rabbit hole, I was a loyal follower of Clean Eating for a long time. I still think the principles of eating more real, whole food like fish, minimally-processed meat, vegetables, fruit, nuts, seeds, beans, is fairly sound, but there is an important caveat for weight loss. When I was really into Clean Eating in my early 20s, I could easily eat a full loaf of dense whole grain bread with tons of extra virgin olive oil at a sitting. That’s about 2300 calories there, about a day’s worth for a woman my size, and is one reason why eating clean on its own never got me lean. Eating Paleo also doesn’t necessarily cause fat loss. Grass fed steak, chicken thighs, butter, avocado, nuts, oils, and seeds are very calorie-dense and it’s certainly possible to overeat them. The reason many people lose weight with the Paleo diet is because they’re cutting out all sorts of junk foods they used to eat. And any excessively-restrictive diet (hello, vegans!) will make you watch what you’re eating much more carefully…something that overweight and obese people generally don’t do enough. So yes, calories do matter for fat loss. Which is good, because a life without ice cream isn’t for me. Whether we’re talking about fat loss or health, calories aren’t the only thing that matters. Obviously you want to be consuming mainly foods that are high in nutrient (vitamins, minerals, antioxidants, etc.) density and fewer foods from the treat category (the old “empty calorie foods like candy, soft drinks, and cookies). This improves your health overall and will probably reduce your risk of some cancers and other diseases in the future. 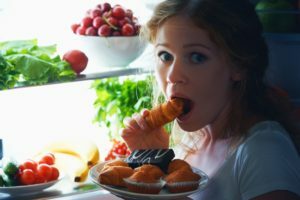 You can certainly lose weight eating Twinkies, like Professor Mark Naub of Kansas State University famously did, but it’s not necessarily the ideal thing to do long-term. Just being overweight or obese presents an increased risk of heart disease, diabetes, osteoarthritis, liver disease, kidney disease, and some forms of cancer. So maybe getting to a healthy weight is important, even if you don’t do it in an ideal way? In terms of body composition, the macronutrient (protein, carbs, fat) content of your diet matters too. It seems strange, but overfeeding with (pure) protein actually doesn’t cause fat gain, like excess calories from fat or carbs. Your body uses that extra protein for muscle repair and growth, which is why overfeeding with protein tends to increase lean mass (more muscle!). So yes, Flexible Dieting or IIFYM (If It Fits Your Macros) has a lot of merit. In fact, it has more scientific support than most of the other “diets”, because it’s based primarily on CICO (Calories In, Calories Out), while incorporating the metabolic advantage of protein. I’m not saying you should monitor and track your calories all the time, but if you’re trying to achieve a specific goal and aren’t sure why, then finding out exactly what you’re eating is vital. Calories are important, but so is the macronutrient and the micronutrient content of your food. There’s a lot to be said for biological individuality. 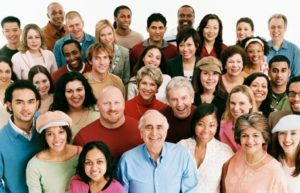 People are different heights and shapes, and have different eye colours, skin colour, hair colour, and blood types (and NO, I’m not suggesting for a moment that your blood type has anything to do with the diet you should be eating!). Some people do better with more carbs, and some people do better with a lot of meat. I don’t eat red meat because I’ve never enjoyed it, but many people do. Some people don’t tolerate meat at all. Sometimes this can be due to low HCL levels in the stomach, and other times it’s psychological. When it comes to carbs, everyone has a natural genetic tolerance. Some people can eat rice, potatoes, and granola bars all day and still be lean. Other people just look at a piece of bread and start to store fat (ok, not really…). The leaner you are, the more carb tolerant you tend to be. And the more active you are, the more carbs you’ll probably need. So someone who’s lean and active will likely need more carbs, while the average sedentary person will probably do best on a lower-carb diet. Eating lots of non-starchy vegetables to provide fiber and keep you full with a minimum of calories. Consume 0.8-1.0g of protein per pound of bodyweight per day (a 170lb person should eat 136-170g of protein per day). Drinking plenty of water (between meals so that you don’t upset your digestion) to avoid fatigue and the sensation of hunger that can cause you to overeat. I introduce my Online Coaching Clients to these habits week-to-week so they’re sustainable. 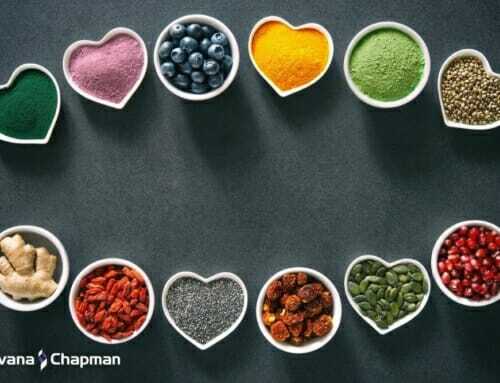 Finding the right nutrition plan (I avoid the word diet because of all its negative connotations) can be a long process of experimentation and breaking old habits. 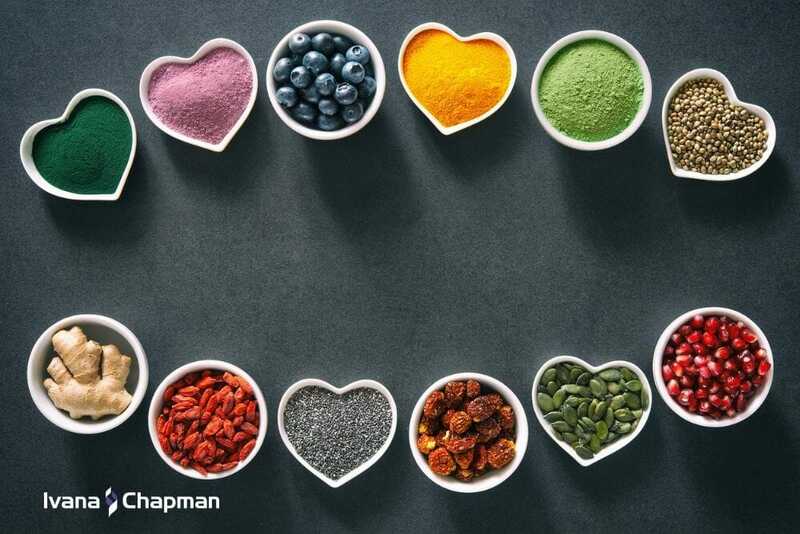 When you discover the ideal nutrition plan for you, you’ll be thankful you took the time to investigate because that knowledge will serve you well for life. It’s sometimes tough to determine the one true answer to nutrition questions because the scientific research isn’t always clear. People vary, studies have limitations, and research itself isn’t exactly like the real world. There will always be someone who hears the experience of their friend’s cousin who did this particular nutrition “thing” and “lost tons of weight” and believes that it’s the only thing that works. There are a lot of different approaches for fat loss, but the general governing rules of nutrition do apply. Keep it simple, stick mainly to what we already know from science, and find out what works for you. If anyone tries to fool you with any of these nutrition myths, just nod and smile a knowing smile to yourself. You know what you’re doing.